The bad news is that there is antiquities damage at the Giza Pyramids. Mark Lehner and his team are currently working there. “I’ve heard that the team lost some equipment and that there was some damage to the antiquities but I do not know the extent of that at this point,” he said. He also does not know what exactly was damaged. The Egyptian army is now guarding the pyramids and access has been restricted. One piece of good news is that looters attempted to enter Karnak temple last night but were turned back by local citizens. 16:39 - Thanks Kat, as ever! Timeslive.co.za reports that The German Archaeological Institute in Berlin (DAI) have requested that some of its 30 egyptologists in Cairo should stay in shared accommodation for their own safety. The DAI have had someone looking after their offices 24 hours a day to protect it against looters. The DAI also say that no German archaeologists are working at any of the German dig sites in Luxor or Aswan at the moment. "Soldiers have detained about 50 men trying to break into the Egyptian National Museum in the last two days, the military said today. I should mention that there have been concerns that some reports of looting have been exaggerated to give an impression of lawlessness, thereby justfiying a heavy-handed crackdown. From the Associated Press: Snipers were stationed on the roof of the building, and dozens of troops patrolled the grounds of the famed antiquities museum amid fears that the chaos sweeping Cairo could engulf the nation's heritage. Some of the most intense anti-government protests in the past week happened near the museum. On Monday, half a dozen suspected thieves lay in a group on the floor of the entrance, their faces covered by a blanket. Guards said they were caught trying to enter. A military general at the museum said soldiers arrested about 35 men trying to break into the building on Sunday, and another 15 on Monday. He spoke on condition of anonymity because he was not authorized to speak to the media. Troops said they were given orders not to shoot, but to protect the building and its contents." 15:43 - Thanks to EEF for this link to a Reuters report on the looting of Qantara Museum, near Ismailia in the eastern Delta: "A group of looters attacked a warehouse at the Qantara Museum near the city of Ismailia on the Suez Canal that contained 3,000 objects from the Roman and Byzantine periods, a source at the tourism police said. Many of the objects had been found in Sinai by the Israelis after they occupied the peninsula during the 1967 war with Egypt, and had only been recently returned to Egypt. A worker at the warehouse said the looters had said they were searching for gold. The worker told them there was no gold but they continued to pillage the storehouse, smashing some items and taking others." 13:54 - The Toronto Star has reported on some of the new cabinet members (at last - I've been searching the web for ages for a few details!). From a heritage point of view there are two very significant changes: "The longest-serving Cabinet minister, Culture Minister Farouq Hosni, was replaced by Gaber Asfour, a widely respected literary figure. Egypt’s most famous archaeologist, Zahi Hawass, was named state minister for antiquities, a new post." 13:45 - The burned out building of the NDP (ruling party) headquarters has just been shown on the BBC and looks as though it is relatively in tact and therefore hopefully not in danger of collapse. It is immediately near to the Egyptian Museum and there were concerns, particularly on Saturday, that the fire might move to the museum or that the building might collapse on top of the museum. Those concerns seem to be on hold for the time being. 13:39 - Thanks to Joris Van Wetering who has sent me the news from a report that the Egyptian military says it has detained about 50 people who were trying to steal artefacts in the Egyptian Museum in Cairo. Snipers are now stationed on the roof of the building, and dozens of soldiers are patrolling the grounds, according to the Associated Press. 13:15 - BBC News 24 has just reported that the Egyptian State television has announced that all trains in Egypt are cancelled. 13:01 - Thanks to Beverley Butler from UCL for this link to a U.S. Committee of the Blue Shield statement of concern regarding the risk to heritage in Egypt. It is signed by a number of important organizations. Most importantly they call on United States and European law enforcement agencies to be on the alert over the next several months for the possible appearance of looted Egyptian antiquities at their borders. The U.S. Committee of the Blue Shield is a charitable nonprofit organization committed to the protection of cultural property worldwide during armed conflict. 12:48 - Thanks very much to the EES website for the news that the EES team in Luxor are all fine. Here's their statement: "The EES team working at Luxor are all safe and well, but are not now being allowed to work on the west bank, so decided it would be prudent to return home (and without going back to Cairo). Sarah Jones flew out of Luxor yesterday and Angus Graham and Kris Stutt will be back in the UK on Wednesday. The second part of this important new EES work is scheduled for later in the spring and we hope that the team will be able to return then." 12:40 - Jonathan Jones (a writer on art topics) has posted on The Guardian's website saying that the Egyptian Museum collections should be protected during the current turmoil, highlighting the importance of the museum. I don't think that anyone would argue with him, and things t the museum seem to be under control at the moment. 12:17 - Thomson has cancelled all outbound flights from the UK to Cairo and Luxor. See their statement on the Thomson website for more information if you are planning to go on a Thomson holiday to Egypt in the near future. 11:19 - A report from the Washington Post focuses on the risk to antquities and quotes a mobile telephone conversation with Hawass. There's not a lot additional information to that he has posted on his own website. The report says that Hawass took a team of students to the museum on Saturdy morning, arriving to find that the keys to the museum had been stolen. He is still saying that nothing has been stolen from the Cairo Museum, and that all damaged items can be restored. After an hour they broke in to find that around 100 artifacts had been broken, probably in a search for gold, but "none were really precious." The report says that 13 display cases were smashed on the museum's top floor, before the looteres entered the Tutankhamun galleries, where more artifacts were damaged. Hawass said he is still trying to assess damage to sites outside of Cairo. The article also says that Egyptologists and Egyptian officials have expressed concern about ongoing looting at Saqqara. Fred Hiebert, an archaeology fellow with the National Geographic Society pointed out that the potential for damage is greater than at Afghanistan and Iraq because the location of sites is so well known due to tourism. As he says "the whole country is a museum." Hawass says that attempts to enter other museums including the Coptic Museum, the Royal Jewelery Museum, the National Museum of Alexandria, and El Manial Museum were unsuccessful. Hawass has also been talking to Time Magazine, with much the same information. 11:09 - Thanks again to Boris A Trivan, this time for the information that a friend of his has been in telephone contact with Barry kemp who leads the Amarna team currently working in Middle Egypt. They are safe but their operations have been shut down by the security police, and they are returning to Cairo before trying to get flights home. 11:00 - Thanks to Jan Picton from the Petrie Museum for this link to Bikyamasr.com which quotes antiquities official Mohamed Megahed saying that According to antiquities official Mohamed Megahed who says that at Saqqara storage facilities in South Saqqara, have been looted and that only the nearby Imhotep Museum and adjacent central areas are being guarded by the military. He says that in Abusir all tombs were opened with "large gangs digging day and night.” I guess that we'll just have to wait and see how much damage has actually taken place when officials have had a chance to inventory the situation at individual sites. 10:45 - I'm just working through the news from last night and will update throughout the day as before. If people want to follow the situation in Egypt for themselves I recommend the Al Jazeera website, which is available in English. BBC News 24 on TV is also providing full coverage, with a lot of analysis. There's not much news from anywhere that I can find about the situation outside Cairo so if anyone finds anything from reliable sources please let me know. Please check out Kate's site as well, as we are finding different news items although there will inevitably be some duplication as we are both keeping up to date on today's stories. There are lots of my usual Egyptology news stories piling up and those are not forgotten, and I will post them in the next few days, but at the moment I am keeping my focus on the state of affairs in Egypt. 21:15 - Thanks very much to a contact who has been on the phone to the Epigraphic Survey team at Chicago House (Oriental Institute in Luxor) and can confirm that as of a couple of hours ago they are safe. Good news. Although the State Department's official advice is that non-essential people should evacuate it's not clear if the survey people will be trying to leave or not. 16:25 - Thanks very much to Kate's News from the Valley of the King's blog for an update on the JHU team from the temple of Mut, half of whom have left Luxor with the other half due to leave soon. Protests in Luxor still seem to be relatively low key by comparison with Cairo. If anyone has any other news about personnel in Egypt please let either Kate or I know so that we can let everyone else know. There is a great deal of concern out there. 15:26 - Thanks to an anonymous commenter who pointed me to another German article, this time an interview with Wafaa el-Saddik on Zeist Online (and here in engine-English thanks to Google Translate). Of the Egyptian Museum she says that a total of 13 display cases were smashed, that, as she said earlier, looters have stolen pharaonic jewellry trinkets and that the new extension with the large souvenir shop, which was opened in November 2010, was totally robbed. As with the earlier article she identifies security guards and police as the perpetrators. She suggests that the reason that the security guards turned to theft is because of the seriously low salaries that they earn, unable to buy the basics for their families. She goes on to say that on Saturday morning the Memphis museum and magazine were emptied by thieves. She called the police, but they did not respond so she then alerted the army but by then it was too late. She phoned the museums in Luxor and Aswan but there was nothing happening at either at that time. She identifies that the lack of protection is a great problem but also that none of the museums in Egypt are insured. [Thanks to Daniel and Joris for checking the translation]. 15:01 - See Margaret Maitland's Eloquent Peasant blog for a list of all the identified artefacts that have been damaged in the Egyptian Museum in Cairo. Many of the comments are worth reading too. A really horrific inventory of broken pieces of priceless antiquity. Heartbreaking. 13:35 - Thanks to Jane Akshar and her friend Colette for the latest (and just about the only) news from Luxor, via a recording of a phonecall between Colette and Jane, available on Jane's blog. Jane says that on the West Bank (where the mortuary temples and the Valley of the Kings are located) the police have abandoned the monuments so protection is being organized by local people who are taking measures to ensure that the sites are safe. There are no protests on the West Bank. On the East Bank, the main town of Luxor where the temples of Luxor and Karnak are located, there are low key protests being carried out but they are a very different kettle of fish from those in Cairo. Jane, her staff and all her guests are all perfectly safe. 13:14 - Friends of Fekri Hassan and Geoffrey Tassie (Tass) will be relieved to know that Jo Rowland has spoken to them and that both are well. Thanks Jo - much appreciated. 13:00 - The German newsaper Der Tagesspiegel (thanks Homer) via Google Translate says that the director of the Egyptian Museum, Wafaa el-Saddik, has told one of their journalists that security guards and police officers were responsible for the looting of the Egyptian Museum, apparently in two separate episodes. She is quoted saying that police had removed their jackets so as not to be identified as police officers. A second group of offenders apparently entered from the back of a fire escape through the skylight. El-Saddik goes on to describe how many artefacts were tossed on the floor and are damaged or destroyed, including statues of gods from the treasure of Tutankhamun. Contrary to Hawass's statement yesterday el-Saddik is quoted saying that looters had stolen pharaonic items. The article in the original German is here. UPDATED - Thanks to Joris Van Wetering for looking through the original German article. He says that the article adds that most of damage (objects being broken etc) was done on the first floor (erste stockewerke) and that Pharaonic Jewellery (smuckstucke) has been stolen. 12.40 - The travel agency Thompson (the only UK company to fly direct to Aswan) has cancelled all outgoing flights from the UK to Aswan and Luxor, although empty planes are being sent to pick up returnees. No evacuations have been recommended for either town. 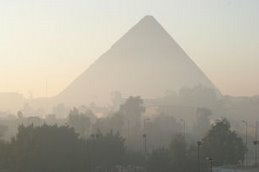 Many flights to Cairo have been cancelled as well from the UK (source: The Independent's travel correspondent via BBC News 24). See Simon Calder's travel advice for the current situation in Egypt on The Independent's website, which points out that even where flights are still operating on the Cairo route they are severely disrupted due to requirements to land outside the times of the curfew. 11:45 - The Daily Express (UK tabloid) has reported that the military are protecting the Valley of the Kings but that there has been no move by the UK government to evacuate Luxor. CNN has reported on two tours and their experiences in Cairo. One tour, which started in Cairo, arrived safely in Luxor where they saw tanks but apparently no signs of trouble. They were transferred to their cruise ship which has sailed south, but the atmoshpere on board is described as "somber". Reuters has suggested that the protests may have only a short term impact on tourism in Egypt, but I guess that that will depend on the political outcome of the protests. Television footage of tanks on city streets, burning buildings and running battles between police and protesters will slash tourism levels, although it may only be short-term. When gunmen killed 58 tourists and four Egyptians at an ancient temple in Luxor in 1997, tourism slumped but picked up fairly quickly and since then has weathered disruptions relatively well. The September 11, 2001 attacks, the second Palestinian Intifada, and a series of bomb attacks on tourist resorts in Sinai from 2004 to 2006 all led to temporary decreases in tourist arrivals, but the trend over the last decade has been broadly upward. I am just focusing on the news as it relates to Egypt's heritage and tourism. Summing up from yesterday for those who have only just come to the blog, the news is as follows. See the previous posts for all links to sources and videos. As in all situations of social uprising there always opportunists who take advantage of the chaos to loot homes, businesses and musums. In the case of Cairo the Egyptian Museum was entered from the top by, it has been reported, "nine convicts." Whoever they were they attempted to steal two mummies, which were seriously damaged in the attempt, with the heads being detatched from the bodies. At the same time a number of glass cabinets were smashed and some of the items contained within were damaged. Hawass says that no items were stolen and that it will probably be possible to restore the damaged items. A number of films (including this recent one on YouTube and this from Al Jazeera showing more, with Hawass interviewed) are available online which shows some of the damage inflicted, including some objects from the Tutankhamun collection. Tim Reid has speculated on his blog that cartonnage from the mummy of Thuya is part of the damage filmed at the museum. Initial attempts to protect the museum were carried out by young Egyptians who formed a cordon, and they were replaced by the Tourism Police and the military who took up posts outside. Footage shows them inside the museum, fully armed. This morning there was footage on the BBC of the museum completely surrounded by military protection, within the museum fences. The Coptic Museum in Cairo was also looted, according to the BBC, and this was protected by local Copts. Another threat to museums is the damage inflicted by protestors is the burning of buildings. The party headquarters next to the Egyptian Museum was in flames yesterday, and there were concerns about what would happen if it collapsed. There was another report (unconfirmed) that a museum in Alexandria was set alight. Reports say that in Luxor the Luxor Museum was surrounded by tanks to protect it, and that measures have been taken to protect Karnak Temple. The pyramids of Giza have been closed and are also under military protection. As far as archaeologists working in Egypt are concerned, most seem to have followed the guidelines which suggested that they stay indoors and away from the trouble. I have not heard of anyone being hurt. Tour companies seem to have taken measures to prevent more tourists arriving in Cairo, and many have made arrangements to remove tourists already in Egypt. There are reports of people of all nationalities arriving at airports to search for flights. As of this morning the US has advised its citizens to leave the country and will start filght evacuations from Monday. The UK Foreign Office has adviced that only essential travel should be made to Cairo, Alexandria, Suez and Luxor and estimates that there are currently 30,000 tourists in Britain. Roadblaocks have been set up on the roads into Sharm El Sheik, where a curfew appears to be in place and, according to a report on BBC News 24, tourists are being confined to their hotels. Al Jazeera has been an invaluable source of information on the situation in Egypt in general and the Egyptian Museum in particular, but according to an Al Jazeera news release the Egyptian authorities are revoking the Al Jazeera Network's licence to broadcast from the country, and will be shutting down its bureau office in Cairo. An Al Jazeera spokesman said that the company would continue its strong coverage regardless: "Al Jazeera sees this as an act designed to stifle and repress the freedom of reporting by the network and its journalists. In this time of deep turmoil and unrest in Egyptian society it is imperative that voices from all sides be heard; the closing of our bureau by the Egyptian government is aimed at censoring and silencing the voices of the Egyptian people. 22:55- I am currently glued to Al Jazeera's live reporting of the situation in Egypt on the web (where they provided an interesting profile of the new Vice President). Hawass is shown, again, saying that last night a few people entered the Cairo museum from above, but good Eyptians and some of the Tourist Police managed to control the situation. In addition the report says that the ruling party headquarters next door to the Museum is still on fire so the museum is still at risk. The screen grab to the left is from Al Jazeera's video feed. 22:24 - Al Jazeera has reported that the ruling party headquarters has been "torched" in Luxor. 21:55 - Al Jazeera's live feed showed Hawass speaking on a live feed on Al Jazeera about the Egyptian Museum break-in, talking about the damage already mentioned and confirming that the looters came into the museum from the top of the building. Other reports talked about the Giza pyramids being closed off and tourists returning to the UK (and others continuing to engage in tourism in Cairo), plus scenes of the protests themselves. The programme may be archived - I'll keep an eye on it. Some of it is quite hair raising, if you get the chance to watch. 21:29 - Al Masry Al Youm has added to the stories about the looters in the Egyptian Museum, saying that one of their reporters has seen the damage first-hand. The article says that the looters were 9 convicts who tried to steal the two mummies, which broke up as they tried to take them towards the exit. According to the report Hawass says that although the glass covers of cabinets were smashed nothing has been stolen, including items of jewellry that was in some of the cases. Hawass believes that the broken items can be restored. The report says that he has expressed concern about other museums and the lack of security available to defend them. It goes on to say that Gihane Zaki (Professor of Egyptology at the Faculty of Tourism and Director of International Cooperation at the Supreme Council of Antiquities) said, that he is "extremely worried" about the two museums for which he has responsibility, "the Nubian Museum and the one in Fustat." 20:53 - More photos from the damage to exhibits in the Egyptian Museum in Cairo. 18:45 - The mind truly boggles, but Kate Phizackerley has seen other reports (see her post, with photo), that artefacts from the tomb of Tutankhamun have been damaged, some apparently quite seriously. She references a post on The Eloquent Peasant blog (Margaret Maitland) which has photos from Al Jazeera which appear to show some of these damaged items. 18:28 - My father has just phoned to say that the BBC News onTV reports that the Coptic Museum has been looted but that Copts have gathered to protect it. 18: 18 - The Associated Press (thanks Rhio) has quoted Hawass saying that he is worried about the blazing building next door falling on the Egyptian Museum. In addition it adds to the story that two mummies were damaged by looters, saying that 10 small artefacts had been removed from cases and damaged, and that the gift shop was cleaned out. Archaeologist Kent Weeks, who is in the southern temple town of Luxor, said that rumors that attacks were planned against monuments prompted authorities to erect barriers and guard Karnak Temple while tanks were positioned around Luxor's museum. It is very difficult to get a clear view of what is going on in Egypt at the moment, but for the most part heritage seems to have been clear of threat. Exceptions are a report on Al Masry Al Youm of an Alexandria museum in flames, but I haven't seen this reported elsewhere. There's a video on the BBC showing the Egyptian Museum with the party headquarters with smoke pouring out in the background. Egyptian state television reports that looters broke into the Egyptian Museum during protests last night and destroyed two ancient mummies, Reuters reports. Archaeologist Zahi Hawass, chairman of the Supreme Council of Antiquities, said: "I felt deeply sorry today when I came this morning to the Egyptian Museum and found that some had tried to raid the museum by force last night. Egyptian citizens tried to prevent them and were joined by the tourism police, but some [looters] managed to enter from above and they destroyed two of the mummies." The museum in central Cairo, which has the world's biggest collection of Pharaonic antiquities, is adjacent to the headquarters of Mubarak's NDP party, which protesters set ablaze yesterday. The museum houses tens of thousands of objects in its galleries and storerooms, including most of the King Tutankhamen collection. The situation in Egypt may be grim, but the government and the protesters agree on at least one thing: The golden mask of Tutankhamun and the nation's other ancient treasures must be protected from harm. When fire broke out tonight at the ruling National Democratic Party's headquarters in central Cairo, an urgent call was issued by Khaled Youssef, an Egyptian film director who has made movies critical of government policies. "I am calling on the Egyptian army to head instantly to the Egyptian Museum. There is a fire right next to it in the party headquarters," he told the Al Arabiya television channel in a report relayed by Reuters. As the fire raged, would-be thieves started entering the grounds surrounding the museum, The Associated Press reported. But other young men, some armed with truncheons taken from the police, formed a protective human chain outside the museum's main gates. " If anyone is daft enough to be sight-seeing in Cairo at the moment, the latest and most unsurprising news from the BBC is that access to the pyramids at Giza has been closed by the military. Travel news for British travellers, also from the BBC is that British Airways has chartered a plan to evacuate anyone who wishes to leave. Other tour companies are also taking action - which is probably just as well as the Associated Press report that 1500-2000 travellers, both foreign tourists and Egyptians, have been arriving at Cairo airport to find flights out of the country. See the Associated Press for some details. The greatest threat to the Egyptian Museum, which draws millions of tourists a year, first appeared to come from the fire engulfing the ruling party headquarters next door on Friday night, set ablaze by anti-government protesters. Then dozens of would-be thieves started entering the grounds surrounding the museum, climbing over the metal fence or jumping inside from trees lining the sidewalk outside. One man pleaded with people outside the museum's gates on Tahrir Square not to loot the building, shouting at the crowd: "We are not like Baghdad." After the 2003 U.S.-led invasion of Iraq, thieves carted off thousands of artifacts from the National Museum in Baghdad — only a fraction of which have been recovered. Suddenly other young men — some armed with truncheons taken from the police — formed a human chain outside the main entrance in an attempt to protect the collection inside. "I'm standing here to defend and to protect our national treasure," said one of the men, Farid Saad, a 40-year-old engineer. Another man, 26-year-old Ahmed Ibrahim, said it was important to guard the museum because it "has 5,000 years of our history. If they steal it, we'll never find it again." Finally, four armored vehicles took up posts outside the massive coral-colored building in downtown Cairo. There is a summary on the BBC News website of the broader political situation in Cairo, where President Mubarak has dismissed his government and will be forming a new cabinet today, Saturday. There are also two videos on the page with scenes from Egypt. There was a supporting but peaceful protest in London yesterday. UK Foreign Office recommendations for travel are displayed on their website. I haven't seen anything about how holiday companies are handling the situation but I was speaking to Jane Akshar yesterday and she says that there are no such violent protests taking place in Luxor, where life appears to be continuing as normal. In a recent post on her blog Jane suggests that the reason for this is an ultra pragmatic approach to the need for economic self preservation. After a somewhat disappointing first week in Cemetery C during which we only found heavily disturbed graves, our luck turned last week. We discovered two largely intact graves which provide us with important insights into the funerary customs of the people living at Amara West. One of these intact graves is G216. As with most of the other graves excavated in Cemetery C it is of the niche grave type, in which the body of the deceased is placed in a narrow niche on the bottom of a rectangular shaft. With a length of 2.2 metres and a width of 1.2 metres, G216 is the largest niche discovered so far. In contrast, other graves found this week are very small, with just enough space to accommodate a small child burial. Concentration of carvings with thousands of images, ancient burial grounds and several dozen terracotta figurines were found by archaeological team from the Department of Archaeology of Africa of the Institute of Archaeology and Ethnology PAS Poznań Branch during a survey in the mountains on the Red Sea, north of Port Sudan. North-east Sudan, where the archaeological mission conducts its activities, has never been surveyed for prehistoric settlement. In 1999, Krzysztof Pluskota accidentally discovered the first concentration of stone art and informed the archaeologists, which led him to sending an expedition. The head of the expedition is Dr. Przemyslaw Bobrowski. "During December's expedition we discovered another, very rich concentrations of stone art - mainly images of cattle, but also humans and some animals of wild African fauna" - said Prof. Michał Kobusiewicz, one of the expedition members. According to Bloomberg the Egyptian request for the return of the Nefertiti bust to Egypt has been rejected by Germany on the grounds that the request was not sent to the government, but to Herman Parzinger, the president of the Prussian Cultural Heritage Foundation in Berlin. It seems that the German government has decided that the request does not conform to required protocols and is therefore not official and will not be addressed. The German government said it doesn’t view Egypt’s request as official, because the letter was addressed to Parzinger rather than the government. “The government’s position on Nefertiti is well known and hasn’t changed,” Andreas Peschke, a Foreign Ministry spokesman, told reporters today in Berlin. German Culture Minister Bernd Neumann has said that his country’s procurement of the bust was lawful and that Egypt had no grounds to demand its return. Germany refused to lend the statue in 2007, citing its fragility. Wrapped! The Search for the Essential Mummy takes visitors on a journey into the ancient beliefs and traditions that answer the ageless questions: "Why do mummies exist?" and "What can ancient objects tell us about who these people were and how they lived?" This exhibit features the story of noted Tacoma businessman Allen C. Mason and his travels to Egypt in the late 19th century, which resulted in the purchase of the mummy of Ankh-Wennefer, also known as "the WSHS Mummy." Mason donated Ankh-Wennefer’s mummy to the Historical Society in 1897. The mummy and its heavily decorated coffins have been the subject of much study over the decades, with the most recent work being done by Dr. Elias and the Akhmim Mummy Studies Consortium. Tacoma General Hospital worked with the Society to have high-resolution scans made of the mummy which were used to create a forensic portrait of the late Ankh-Wennefer. Wrapped! showcases more than 250 artifacts, including 18th- and 19th-century engravings, ancient amulets, kitten mummies, and coffin cases. I was looking at the superb Amarna Project website to see if they have a dig diary (they don't) and found that they have a downloadable resources page with newsletters in PDF format up until 2010 and a set of really helpful guide books for anyone planning a visit. See the above page. The whole site is a splendid resource and really provides a model for how vast quantities of information can be shared in a professional, informative and entertaining way. Thanks to the EES blog for this link. Among the many treasures kept in the Egypt Exploration Society's Lucy Gura Archive is the 'film record' of excavations at Tell el-Amarna, which was made over the course of three seasons from 1930 to 1933. The excerpts used here focus on the excavation of house T34.1 in the north suburb of the city. The house had been built by Akhenaten's overseer of works, Hatiay, and was notable for its series of doorways built in stone rather than mudbrick, one of which was found to be ' simply smothered in inscriptions', which provided the name of the home-owner. The mystery of mummies will finally be laid to rest as the Washington State History Museum launches "Wrapped! : The Search for the Essential Mummy" on Jan. 30, yet the museum's future itself still remains unknown. The immortality-themed exhibit arrives at an interesting time for the museum, as recently proposed state budget cuts have the cultural hub facing the prospect of its own closure. The Luxor Temple viewed from the Mosque of Abu el Hagag. An older Mosque dedicated to the same local saint was built on the buried ruins of the Temple. It now sits perched high on the structure of Rameses II's first court. Photo and text by Jon Bosworth, with my thanks. The EES Theban Harbours and Waterscapes Project (www.ees.ac.uk) was launched in January 2011 and is funded by members of the public through donations to the Excavation Fund. This new project, directed by Dr Angus Graham, will form a vital part of the Society's current aim to investigate how the people of ancient Egypt responded and interacted with the natural environment. Angus will be leading a team in the field in Luxor from mid-January 2011 and will be posting regular updates on the work to this page. Heritge Key reports that the SCA have announced that they have requested the return of the Nefertiti bust from Berlin. There's also some helpful background information in the article. The Supreme Council of Antiquities announced today that Secretary General Dr. Zahi Hawass has sent an official request for the famous bust of Queen Nefertiti to be returned to Egypt. This request was approved by the Prime Minister of Egypt, Dr. Ahmed Nazif, and Minister of Culture, Farouk Hosny, after four years of research by a legal committee composed of legal personnel and Egyptologists. The request letter was send to Dr. Hermann Parzinger, president of the Prussian Cultural Heritage Foundation, who previously clearly stated Nofretete bleibt in Berlin! - Nefertiti stays in Berlin. Does being locked out of trophy sites matter? With a somewhat bizarre account of how some items from the BM found their way into the author's home. Perhaps some of those objects from Egyptian tombs I gazed on at home were, in reality, fakes. One that wasn’t made the strongest impression on me: a box of grain, thousands of years old, darkened with age but preserved by the desert dryness. Those seeds might still germinate if they were planted. They conveyed an intense feeling of connection with the days of the pharaohs. That is what tourists must want when they hope to stand in the rock-cut tomb of Tutankhamun. There is not much else to see, for the fabulous sarcophagi and mummy-masks are safe, more or less, in the Cairo museum. It is the same wherever we crowd: we destroy the things we love to see. The Proyecto Djehuty dig diary is back with several entries already for January. A series of online reports about the complex of Amenhotep III on the west bank of Luxor. Here's an exerpt from the introduction but look at the page itself for links to all the online articles available, dating from 1914 to 1992 (PDFs). The site of Malqata is located on the west bank of the Nile, opposite the modern city of Luxor, about 430 miles south of Cairo. Egyptologists usually refer to Luxor as Thebes, one of its ancient names, and the west bank is often called western Thebes. Approximately 3350 years ago, the Egyptian pharaoh Amenhotep III began an ambitious building program in preparation for his jubilee or heb-sed, which was celebrated in the thirtieth year of his reign (about 1360 B.C.). For the first heb sed and two later jubilees, the king’s architects created a huge harbor, the Birket Habu, at the edge of the desert. 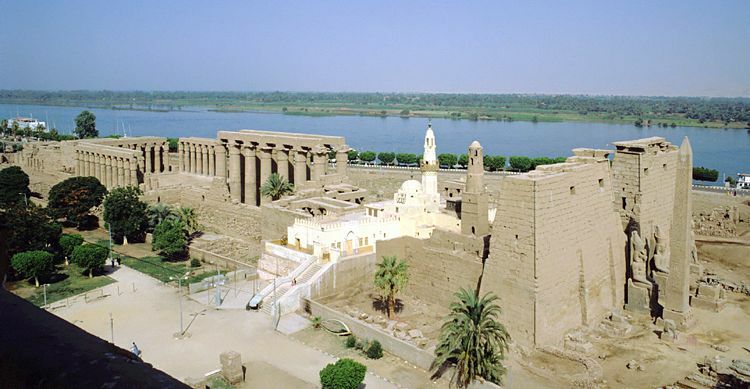 Near the northwestern corner of this harbor, they built a large royal residence including several palaces, administrative buildings, a temple dedicated to the god Amun-Re, and a ceremonial platform. There are also the remains of the villages that housed the workmen, artisans, and merchants who supplied labor and goods for the city. Farther south, they built two more ceremonial platforms: the Kom el-Samak, and the Kom el-Abd. And west of the Kom el-Abd, Amenhotep had a wide strip cleared in the desert that stretches more than three miles to the cliffs that border the Nile Valley. The various sections of Malqata have been studied for more than a century and a number of important archaeological expeditions have excavated at the site. These include The Metropolitan Museum of Art, which conducted field work on the structures of the palace city between 1910 and 1918. Egypt is a beauty this time of year. The weather is moderate, the sun warm and the skies are clear. Sometimes it will rain, but that's only to prove that it is winter, then everything quickly goes back to normal. At night, it's a different story. The outings are joyous and the hotels prepare for the best seasonal shows on New Year's Eve accompanied by Christmas carols and hymns sung by the sweetest voices. While many will go to the festive outings, some may forget to visit nearby sites which Jesus visited during his flight to Egypt. There are also landmark historic churches which present performances demonstrating what the angels said to revelers: "Exultation to God above; on Earth peace and joy to the people". A journey to these churches can easily be arranged if you are in Cairo or ask a travel agent to make arrangements to visit those in other governorates, especially if your trip is short. who extended the existing temple. Thanks to Tim Reid's Egyptians blog for the link to this page. Workers in Abu Yasseen village in Sharqiya Governorate found three pharaonic coffins and other artefacts while digging as part of a sewage project in the village. Eye witnesses said two of the coffins were smashed. The antiquities were transferred to the governorate capital Zagazig, where they will be examined by experts. Guards imposed security around the coffins and the area where they were found. Clashes erupted when workers demanded a share of their discovery while antiquities authority employees were transferring the artefacts. We present to you today the tomb of Nebamon & Ipuky, TT181, so-called "tomb of the two sculptors". This beautiful monument, entirely covered by our photographs, is one of the tombs which has undergone more action of pillagers who removed many pieces of the walls. We have recovered many of these and offered a virtual reconstitution of some scenes. Finally we re-examine the reports of relationship between the characters. The tomb includes a scene of the reverence of king Amenophis I and his mother, queen Ahmes-Nefertari. This is also found in numerous Ramesside tombs, so we have made a separate small summary of this Theban cult. On January 15 we finished removing the baulk stub over the remains of the southern boundary wall of the Taharqa Gate approach. In this view to the northeast, you can now see that we have a single, wide wall that has been successively cut back. All that remains now is to map this new section of the wall. The last of the pottery spill found in the angle of the walls at the south end of the excavation area. The sherds to the right of the meter stick sit in a corner formed by the north face of the Tuthmoside enclosure wall and the new wall found last week. With the pottery removed, we decided to explore slightly further south to see if the mud brick continues further south. Thanks to Jane for sharing some fabulous photographs of the off-limit areas of Karnak which have been unveiled in the last few seasons of excavations. Go to her website for some lovely photos. Another article about challenges to the interpretations of DNA studies which tried to identify the family members of the pharaoh Tutankhamun. But many geneticists complain that the team used inappropriate analysis techniques. Far from being definitive, the study is "not seen as rigorous or convincing", says Eline Lorenzen of the Center for GeoGenetics at the Natural History Museum in Copenhagen, Denmark. Many thanks to Paula for sending me a link to her website. She has taken images of Giza and displayed them so that the viewer is taken through the history both of people's visions of Giza and through the history of image reproduction (engraving, oils print, and photography). Some fascinating images! Due to massive public interest, the historic Tutankhamun's tomb and treasures are to stay in Manchester for a further four weeks. The public exhibition at the Trafford Centre has proved a massive success, as Christoph Scholz, the event's producer explained. He said: "Our success in Manchester is further proof of the strong links between Britain and Egypt. "Two major Egyptian shows; “The Book of the Dead” at London’s British Museum and our new replica concept in Manchester’s new exhibition complex are proving the love of ancient culture in the UK. "It’s pleasing to see, that the audiences in the Northwest has accepted a new and even controversial exhibition concept outside of the city’s established Museums and Galleries." Since opening on 22nd October, over 100,000 people have visited the spectacular reconstruction of the famous Pharaoh's remains. When I rehomed The World of Hieroglyphs, I didn't re-upload the zip of WP-Hiero. I've now created a version 1.1 of it, and uploaded that instead. You can access it via this page. Thanks to Amigos de la Egiptologia for this link to a profile of Egyptologist Myriam Seco. La arqueóloga Myriam Seco ha abogado por adoptar algún tipo de medida para evitar que la afluencia de turistas al Valle del Nilo (Egipto) perjudique a la tumba del faraón Tutankamon, que acaba de cerrarse al público. "Algo hay que hacer", ha sostenido Seco, quien ha incidido en que el turismo a esta zona "se ha disparado", hasta el punto de que acuden al Valle del Nilo "miles y miles de personas", y ha remarcado la condición de "obra de arte" de estas instalaciones. Myriam Seco participa este jueves en una conferencia dentro del ciclo sobre arqueólogos españoles en el mundo que organiza la Fundación 'Marcelino Botín', que precisamente apoya una de sus excavaciones en Luxor. En concreto, esta arqueóloga trabaja en el proyecto para la recuperación del templo funerario de Tutmosis III, faraón de la 18ª Dinastía conocido por sus 17 campañas militares victoriosas y que fue apodado como "el Napoleón egipcio". Not Egypt but relevant to archaeology in general. Researchers at the Centre for the Studies of Archaeological and Prehistoric Heritage (CEPAP) of Universitat Autònoma de Barcelona (UAB) have implemented an innovative system to register archaeological artifacts which eliminates problems in manual markings, such as errors in writing or erosion of data. The system, based on direct labelling using bi-dimensional data matrix (DM) codes, has been used by the CEPAP team during two years, in which numerous artifacts and bone remains from sites in Spain and Africa were registered. The marking of archaeological material, or coding, is the process in which archaeologists identify each of the artifacts discovered at a site through an identifier code which is currently applied manually to each item and which contains the name of the site, the archaeological level at which it was found and an inventory number. This information is essential because it remits to a complex network of data which contextualises each artifact individually. A look at both the pros and the cons of a Nile cruise. We had picked on a boat called the Philae (owned by the Oberoi hotel chain), partly because it looked romantic and partly because every room has a balcony onto the river (why go on a Nile cruise if you cant gawp at the river whenever you to?). We had also splashed out on a bigger room, which turned out to be well worth it, as there was bags of space to swing a cat or two. The views were stupendous (I thought that I was immune to that kind of thing... but I kept burbling all the time about how stunningly beautiful it all was) and the food a treat (Oberoi is an Indian chain and the curries were to die for . . . and the chef was so proud of his kitchen that he let you wander round it). As for cultural experiences, the high point was not a great monument of Egyptian antiquity, but going through the Nile lock at Essna where, in an engaging variant of squeezy merchants at traffic lights, a host of little rowing boats crowded around us throwing up all sorts of merchandise for inspection and possible purchase. With a massive collection of digital photographs taken from our recent visit to Egypt, I wanted to put together a photo book for my father as a souvenir. I thought that it would be a simple matter of finding a company with some good software that would let me do what I wanted to, but it took me several attempts and a considerable amount of wasted time to find something that did what I wanted it to. In the end I used thephotobookstore.com, which lets you download an application and build a fully customized book, with your own photos and text, and a variety of backgrounds, photo frames and text options to make it really personalized. I formed some of my pages in Photoshop, like the one on this post, then saved them as JPEGs and uploaded them as images into the software (it only accepts JPEG format images). My photobook turned up today, around a week after I ordered it online, and I am chuffed to bits with it. I don't normally plug commercial companies on the blog but this company worked out well for me and I thought that it might give others a good place to start if they are thinking of making a photobook. The company is not cheap but it offered the best solution that I could find. If anyone has other photobook recommendations do post a comment because I would love to check them out. King Tutankhamun’s tomb will not be closed in the near future, Zahi Hawass, chief of Egypt's Supreme Council of Antiquities, told Discovery News. Many reports in the past two weeks announced the closure of this tourist magnet by the end of this year. Although suffering from the wear and tear caused by hordes of sweaty visitors drawn in by the elaborate murals and the boy king’s mummy, which is kept in a climate-controlled glass case, the burial won’t close its doors so soon. “Tutankhamun’s tomb will not be closed in the near future. It is a long-term plan that has not been decided upon yet,” Hawass told Discovery News. Experts from the state-run Japan International Cooperation Agency on Wednesday took measurements of the golden mask of boy king Tutankhamun and other artifacts at the Museum of Egyptian Antiquities in Cairo, in preparation for their transfer to a new museum. "We are proud that the Egyptian side put us in charge of an operation handling the country's most important treasure," said Mikio Nakamura, a JICA chief advisor. The operation is part of a JICA-backed project to reconstruct the database of Egyptian artifacts ahead of the transfer of some 12,500 objects to the Grand Egyptian Museum, scheduled to open in 2013 near the pyramids in Giza on the outskirts of the Egyptian capital. Gayle Gibson, a teacher and Egyptologist at the ROM, takes us behind the scenes and reveals fascinating details of two little mummies in their collection. The mummies have not been on display to the public for decades and will likely remain in storage. Somewhere deep in the organized jungle of museum storage, Gayle Gibson leans against a long stretch of counter, cooing and fussing over a baby named Hor. “Poor little fella,” says Gibson, an Egyptologist and teacher at the Royal Ontario Museum. She smiles parentally at the 2,000-year-old mummified infant resting in front of her. The years have been good to the preserved infant, but his age does show. Hor is flatter than he used to be and freakishly long. He looks kind of like a deflated tire or a piece of chocolate that melted and got hard again. In 1994, Baruch Rosen published a brief article in Nature in which he drew attention to the small, tusked, hairy elephant in the painting, shown as being waist-high to the accompanying people. The people next to the elephant seem to be Syrian traders, carrying objects that include tusks (note that a small bear is shown in the painting as well: that's very interesting but I don't have time to discuss it here). African elephants Loxodonta and the now extinct Middle Eastern population of the Asian elephant Elephas maximus were both known to the ancient Egyptians, but Rekhmire's elephant doesn't seem to be either. Just a quick note that Amara West (Sudan) dig diary has been updated with two posts. This is from Tuesday so I don't know what the current state of affairs is. You do wonder about the level of protection that can be offered for archaeological sites, realistically, in a country that does not live with rain. Luxor governorate has set up a state of emergency plan in case of flooding which may occur as heavy rains are predicted to continue. The governorate is holding a committee made of managers and personnel in the health, logistics, veterinary medicine, irrigation and agriculture sectors. It is also working on plans for rescue measures. Moreover, the governorate has also made arrangements to pump water away from archaeological sites. However, head of Luxor Airport Samy Abdel Moneim stated that flights will continue as scheduled. showing cartouches of the pharaoh. The Sun Court has double rows of 60 papyrus-topped columns. 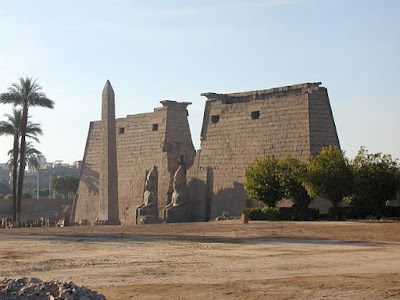 JHU are back in Egypt at the Temple of Mut and are blogging as reliably as ever, with lots of photos. In January 2011 Dr. Betsy Bryan returned to the Temple of Mut precinct in Luxor, Egypt with nine Johns Hopkins students. For the past four years excavation has focused within the temple itself and around the perimeter of the sacred lake, called the Isheru. This year Dr. Bryan and her team returns to the area behind (south of) the lake where between 2002 and 2006 industrial areas for baking, brewing, faience and ceramic production, were discovered. The area behind the lake contains a large open area without standing buildings. At the far south where the mud brick temenos wall separated the precinct from the secular city of ancient Thebes an area was investigated in 2004-05. In 2005 Dr. Elaine Sullivan identified a 25th Dynasty storage building of mud brick in the vicinity. This year work continues to the east of this area, beginning where a slight rise in ground level exists. Likewise excavation squares are placed directly south of the industrial area excavated earlier. I’ve just arrived in Khartoum – the 30°C temperature is described as ‘freezing’ by the locals – the rest of the team fly out later this week. In an earlier post, Michaela outlined our aims for work in the post-New Kingdom cemetery. As I’m now in Sudan, it seems appropriate to summarise what we’re aiming to do in the town. For the first time, the southern zone in the walled town will be investigated under the supervision of one of our archaeologists, Charly Vallance. The Egypt Exploration Society never excavated here in the 1940s and 1950s, so there’s a good possibility that we’ll find intact floors and occupation deposits inside the buildings. With lots of great photos. At the end of 2010 we thought that we might have found the point at which the mud brick running north-south along the full length of the west side of the excavation area made a corner with the east-wall at the south end of the excavation. As is evident in this photo taken then, the brick was very friable, its excavation requiring more time than we had left. Clearing up this question is one of this season’s goals. We extended the excavation further to the south and by mid-morning on Thursday (our 2nd actual day of digging) knew that last year’s theory was wrong: not only does the long wall keep on going, but it gets wider. The meter stick is on the newly-found brick of the long wall, and the north arrow sits on another wall that meets the long wall’s west face. We do have a corner, but it is an inner corner where the east face of the long wall meets the south face of the large east-west wall mentioned above. This article mixes news about the Avenue with the recent news about the Amenhotep III fragments posted about yesterday. I took some photos of the Avenue whilst I was in Luxor which I'll post when I get around to sorting through the rest of all the photographs that I took. It is really quite awesome how much has been cleared. Minister Hosni visited Luxor accompanied by Zahi Hawwass, the Supreme Council of Antiquates chief and Luxor governor Samir Farag to inspect the project. The minister announced the removal of the Anglican and Orthodox churches which lie on the road in order to resume works of the project’s 2nd phase. He said work is on foot in spite of problems and obstacles hindering the progress of the project . . . . This came during an inspection tour of the Ram Road by Hosni, Secretary General of the Supreme Council of Antiquities (SCA) Zahi Hawwas and Luxor Governor Samir Farag on Sunday 9/1/2011. The development project of the road is expected to be complete in a year. The Colossi of Memnon? When are graffiti not graffiti? For me these statues are important because they were a Roman tourist attraction -- and it is fun to be gawping at monuments that Germanicus or Hadrian gawped at a couple of thousand years ago. Not exactly for the same reasons, it must be allowed. One of the colossi was especially renowned in the early Roman empire because, thanks to some damage (possibly in an earthquake in the first century BC), the effect of the stone warming up in the morning made the statue emit a strange sound like singing. It the Romans said that it was not Amenhotep at all, but an image of the hero Memnon, son of Dawn...who miraculously sang to greet his mother each morning. Or, he sang most mornings; there were some unlucky visitors who didn,t hear the singing. The Romans loved the sound and also finished it off. The statue was repaired in the second century and never sang again. Predictably perhaps, the tourist guides here (who have never heard of Memnon) tell a brave new version of the story... that they were believed to be statues of AGAmemnon who wept at dawn. In such ways new myths are born. The tomb of Tut -- what does Zahi Hawass intend to do? Two things to start with. First, there is obviously a big problem in the Valley of the Kings. If you have 60 odd tombs that for more than 3000 years were intended to be shut off from human contact, and you open them to widespread (though hardly "mass") tourism, you have a problem. Tourist sweat certainly erodes painting. Secondly, I have never been much of an admirer of Zahi Hawass, the current supremo of Egyptian Antiquities . . . a master archaeological showman to be sure, but it is not yet clear how much more than that he is. It is apparently his brainchild to close off as many of the "real" tombs as possible to ordinary visitors. And it is certainly not clear how confident we should be in his proud claims to "know best". "I'm the guardian, I know what is good for their preservation" he is quoted as saying. May be that's true. But we have, of course, heard that before -- from generations of expert, well meaning, highly-qualified conservationists charged with looking after the world's heritage. And as many disasters as successes have been the result. Tourists to Egypt will soon be able to visit the tomb of Tutankhamun without setting foot in the Valley of the Kings. A €500,000 life-size facsimile of the Boy King’s tomb and sarcophagus are to be installed in the revamped Suzanne Mubarak Children’s Museum in Cairo (slated to open early this year). The copy, created using the latest scanning technology, will eventually join replicas of the tomb of Tuthmosis III and a room from Nefertari’s tomb in a visitor’s centre planned for 2012 near British archaeologist Howard Carter’s home at the entrance of the Valley of the Kings. The facsimile, created by Madrid-based workshop Factum Arte in collaboration with Zahi Hawass, the director general of Egypt’s Supreme Council of Antiquities, the University of Basel, the Friends of the Royal tombs of Egypt and the Foundation for Digital Tech­nology in Conservation, are part of the council’s long-term preservation of King Tut’s tomb which currently attracts 1,000 visitors per day. It is an assumption that upon the death of Hatschepsut that Kv20 would have been filled with the two royal mummies and closed. Unknown at which time the burial of king Hatschepsut was dismantled perhaps at the end of the new kingdom or at the time of removal of Thutmosis I, that is if Thutmosis I actually ended up reburied in Kv20? His quartzite sarcophagus was found lying on it's side, a position more attuned to be an accident of descent into the tomb rather than a necessity of removal of his coffins. The thought that robbers to the tomb would turn the stone sarcophagus on its side would have taken allot of manpower for a pointless act. Especially given that the tomb robbers probably worked very fast to get in and out of the deep dangerous tomb they were robbing whether clandestine or state sanctioned. Rather I cannot help but feel that Thutmosis I's mummy never re-entered Kv20 but more than likely remained in the tomb Kv60 throughout her reign leaving Hatschepsut's intentions unmet at her death. Cultural identity is a slippery and elusive concept. When applied to the collective self-consciousness among peoples or nations, it becomes all the more difficult to define or grasp. In recent decades scholars have focused on the "other"—the alien, the unfamiliar, the different, perceived or conceived as the opposite—to highlight the virtues and advantages of the self. While this influential idea continues to hold sway, the time has come for a more nuanced and complex understanding of how the various societies of the ancient Mediterranean shaped their sense of identity. The twenty-four essays in this volume examine the subject from a variety of angles. They encompass a broad range of cultures—Greek, Persian, Jewish, Phoenician, Egyptian, Roman, Gallic, and German—and an impressive array of topics. The essays attest to a diversity of attitudes toward other peoples that underscore distinctiveness or discover connectiveness or sometimes both. They show, above all, that the twists and turns that accompanied the development of a collective consciousness found no smooth path. Table of Contents and full details available at the above page. This book is a history of religious life in the Ancient Near East from the beginnings of agriculture to Alexander the Great's invasion in the 300s BCE. Daniel C. Snell traces key developments in the history, daily life and religious beliefs of the people of Ancient Mesopotamia, Egypt, Israel and Iran. His research investigates the influence of those ideas on the West, with particular emphasis on how religious ideas from this historical and cultural milieu still influence the way modern cultures and religions view the world. Designed to be accessible to students and readers with no prior knowledge of the period, the book uses fictional vignettes to add interest to its material, which is based on careful study of archaeological remains and preserved texts. The book will provide a thoughtful summary of the Ancient Near East and includes a comprehensive bibliography to guide readers in further study of related topics. Yesterday night, a couple of thousand archaeologists and prominent figures flocked to the Cairo Opera House Grand Theatre where the fifth annual Archaeologists’ Day was held. The site became a temple for the day, embellished with an imposing façade, columns, and statues of ancient Egyptian Pharaohs and deities. This year, the Supreme Council of Antiquities (SCA) celebrated Archaeologists’ Day differently. The event focused on paying homage to pioneering archaeologists, dead and alive, who have spent their lives exploring, enriching, documenting and preserving Egypt’s heritage. A number of specialists were honoured along with skilled workers who helped in excavation works. During his speech at the event, Zahi Hawass, secretary general of the SCA, highlighted a number of projects that the SCA undertook during his tenure that started 2002. Among them, SCA excavation teams are spread all over Egypt digging for new secrets of Egyptian history. “Those young excavators are competing with their counterparts abroad,” asserted Hawass, saying the teams have unearthed distinguished artefacts and magnificent sites that changed the view of the history of Egypt. It is sometimes best to start at the end of a Hawass article to get to the point, and this is very much the case in this piece. It begins as an apparently straight forward account of Lord Carnarvon's role in the discovery of the tomb of Tutankhamun, but ends with the remark that Egypt is now taking on the Carnarvon family to acquire items removed from Egypt by Carnarvon some of which are now kept at the Carnarvon family home at Highclere Castle. Hawass beleives that the Carnarvon family will be unable to prove that the items under dispute were taken legally. Hawass does not make it clear whether his organization will also be chasing the items on loan at Newbury Museum and the British Museum in the UK and sold to the Metropolitan Museum in New York. Carnarvon, the man who financed the Tutankhamen tomb excavation. Lord Carnarvon travelled to Egypt for the first time in 1898, following Victor Loret’s discovery of a second crypt to the tomb of King Amenhotep II, in the Valley of the Kings, which was known as tomb KV35. The side chamber was found hidden behind one of the tomb's walls, and this discovery was both a unique and significant event. The fact that 13 mummies were discovered in this tomb, the majority of whom were royalty, is a clear indication that there are a lot of puzzles and secrets surrounding the Pharaohs which archaeologists are determined to solve. Lord Carnarvon began to spend much of the winter in Egypt since 1906, after physicians advised him to avoid humid weather and live in a dry climate. Egypt was therefore ideal for him, and during his stay he managed to obtain a permit to search for, and excavate, Egyptian antiquities. During the 16 years he spent in Egypt, the majority of the excavations financed by Lord Carnarvon were based in Luxor, the Valley of the Kings, and the Tombs of the Nobles. Lord Carnarvon was known for holding on to the pieces he discovered, as well as purchasing antiquities on the market.